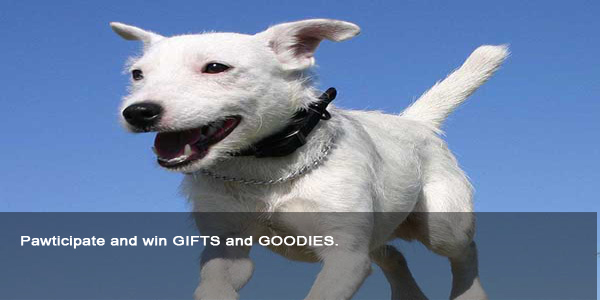 Being a pet parent I love to share stories and anecdotes, peeves and laughs with other pet parents. 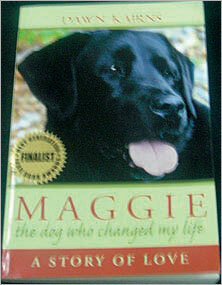 So when I came across Dawn Kairns’ book on the Internet, ‘Maggie: The Dog Who Changed My Life’, I knew I had to read it. The book is all that it promises and more. At one level it’s a sweet and heartwarming story about Dawn and her beloved black Labrador, Maggie. While reading about the bond that the two share with each other, I could not but recall moments that I had experienced with my own Irish Setter, Baloo, who passed away a few months ago. The delightful little moments when you bask in the sheer joy of seeing life through the wondrous eyes of a pup! Or the heart-stopping moments when the pup has a mishap or an accident that could have been worse than they actually were! Or those telepathic moments when your dog actually seems to read your mind well before you have articulated the thought! At another level, the book is about the spiritual connect that humans share with their pets. It’s almost as if our dogs were a special gift that were given to us to cherish and love, who support us emotionally and unstintingly through our difficult times. And yet, we do take our loyal buddies for granted. The bond that you share with your dog is one of a kind. As Dawn writes: “Maggie’s life, illness and untimely death led me to more profoundly honour and nurture my inner world…she showed me my way home: to my heart, my intuition, and to a fuller self-love.” Dawn and Maggie’s personal journey of love and friendship is indeed a life-changing experience and resonates for many of us who have shared such a bond with our pets.